After Peter Capaldi had stepped down his role as a Time Lord in Doctor Who, the star from My Family star was one of the first names to be the 13th incarnation of the Doctor. However, Marshall’s odds have been slashed so much in the last 24 hours that bookies such as Ladbrokes had to cease all betting. A spokesman told the Daily Mail that a lot of punters had backed Marshall, so they had no other choice but to completely close the book. He even added a pun including the show by saying that if Marshall gets the part, the bookmakers would be the first to be exterminated. If you want to place a bet on him, it is still possible at William Hill. The organisation is still accepting wagers on the 43-year-old to enter the Tardis. However, they have slashed the odds from 3/1. Rupert Adams, a spokesperson for William Hill, told NME that they do not think that the decision has been made and for now they will still be accepting bets. 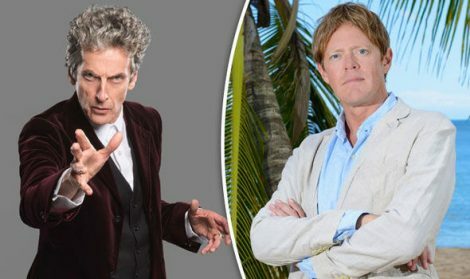 Marshall stepped down his Death in Paradise role during last month, which leaves him free to take a role a closer to home. A few weeks ago we talked about Tilda Swinton, who was previously the top of the list to replace Capaldi. The soon to be former Doctor, recently told the Mirror that he would like for a woman to take over for him and his first choice was Frances De La Tour. Doctor Who will be returning to BBC One on the 15th of April.